Alaska Gov. 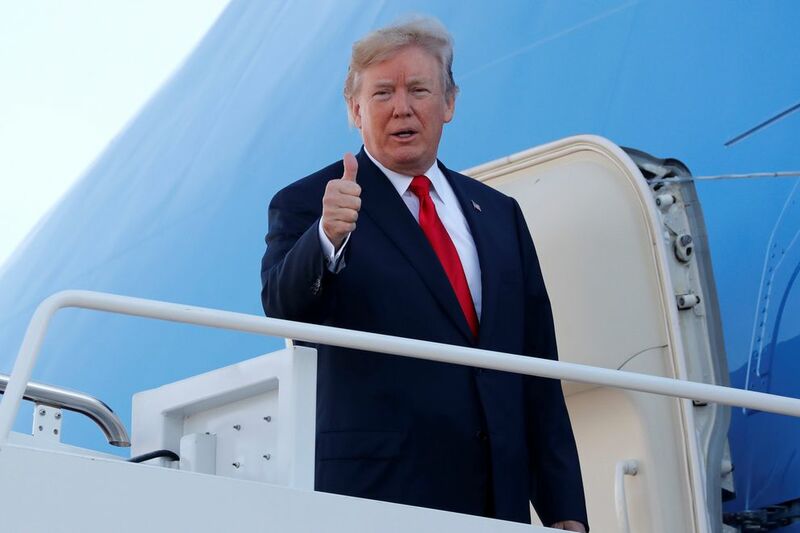 Bill Walker said Thursday that he will join President Donald Trump's trade mission to Asia next week, in hopes of striking a deal with Chinese companies on the state's proposed $43 billion gas-export project. Walker, who was in Washington, D.C., for congressional hearings, told reporters in a hastily organized conference call Thursday that he'll leave with Trump's entourage Friday for meetings in Hawaii. Walker will then travel separately to Beijing over the weekend, where he expects to seek investments in the pipeline project and commitments to buy gas. Walker and Keith Meyer, the head of the state's gas pipeline agency, will join dozens of American corporate leaders on the trade mission, including the chief executives of Goldman Sachs and Qualcomm. "This is probably the most significant opportunity we've had with the market," Walker said. Trump will arrive Wednesday in Beijing as part of his tour through Asia, which also includes stops in Japan, South Korea, Vietnam and the Philippines. Trump's focus in China, in large part, is on rebalancing the country's trade with the United States — in other words, exporting more goods to China — a senior administration official said in a briefing with reporters Tuesday. 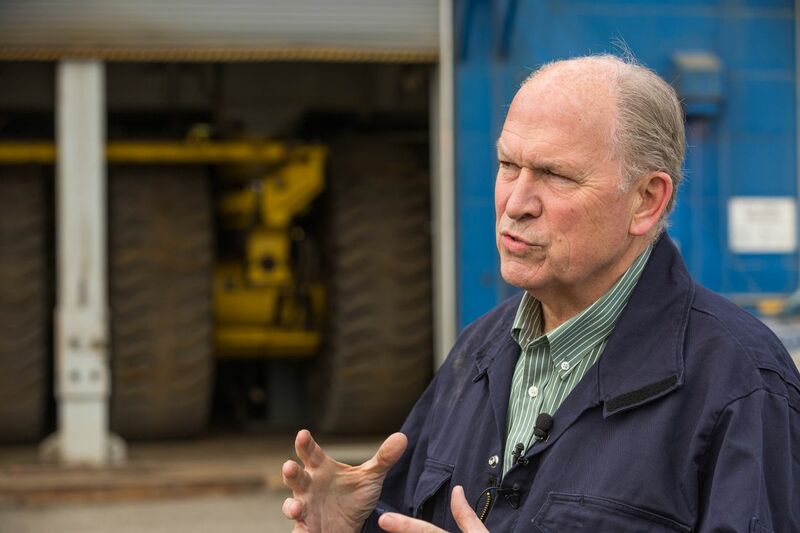 Walker said Alaska's pipeline project fits with Trump's goals because it could produce some $10 billion in annual gas exports. And the natural gas project's potential to create jobs, and reduce China's reliance on dirtier fuels like coal, align with other American priorities, Walker added. "I think it does fit. I've long felt that," Walker said. "And that's been part of the push that I've made with the president when I met him at the White House a few months ago." A White House spokeswoman, Helen Ferre, referred questions about the trip to the U.S. Department of Commerce, which is organizing the delegation of American corporate leaders going to China. A Commerce Department spokesman, James Rockas, didn't immediately respond to a request for comment Thursday. Walker, in the three years since his election, has made construction of the 800-mile pipeline project one of his central priorities. But the state's gas line agency — the Alaska Gasline Development Corp., which took the lead on the project after its oil-company partners pulled out — has yet to announce any firm deals with investors or any binding contracts to sell gas. At a legislative hearing last month, the agency's chairman, Dave Cruz, said he hopes to have a signed letter of agreement with an Asian utility or another customer before the end of the year. That could relieve some of the pressure being put on the project by skeptical state lawmakers, some of whom earlier this year tried to strip $50 million from the pipeline agency's budget. The project would ship huge volumes of North Slope natural gas by pipeline to a port in Nikiski, on the northwest tip of the Kenai Peninsula. There, the gas would be super-chilled into liquefied natural gas, or LNG, which would be shipped in tankers to Asian buyers. China leads the world in projected natural gas consumption, as it seeks to reduce carbon and other emissions from coal-fired power plants and diesel-generated engines. John Hendrix, Walker's oil and gas adviser, said multiple entities in China and elsewhere in Asia have expressed interest in Alaska's project. The state has met with companies that include China-owned oil company Sinopec and China Investment Corp., as well as others, he said. 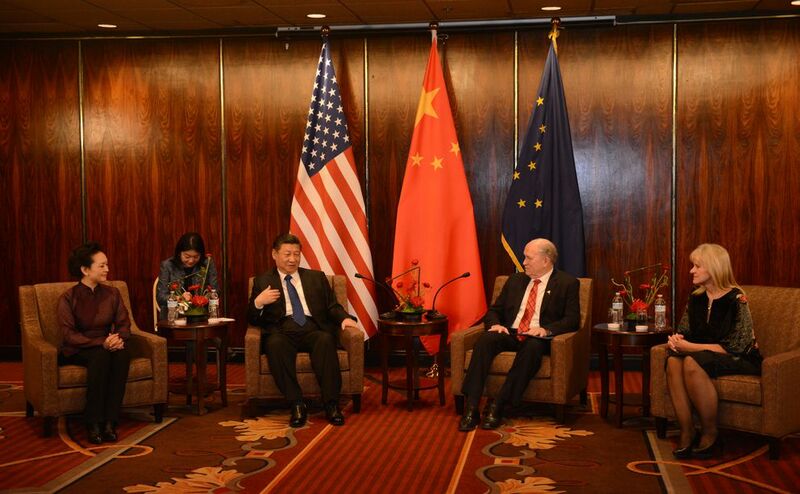 Hendrix said the state's efforts in China date back to President Xi Xinping's visit to Alaska in April, when both governments discussed natural gas and other trade opportunities. China is Alaska's largest trading partner. Officials with the state gas line agency have visited the country multiple times, as it pursues business partners for the pipeline project, Walker said. In late September in China, Hendrix said he attended meetings with the governor, including one organized by the China General Chamber of Commerce, Hendrix said. AGDC was also represented there, he said. But the project's huge cost has been an obstacle for the state. Oil companies ExxonMobil, BP and ConocoPhillips backed out of their partnership with the state late last year, citing the project's price tag amid a competitive international market for gas. AGDC has headed the project alone in 2017, working to reduce costs and find investors and gas buyers overseas. The agency refused Thursday to release any information about its chief executive's participation in Trump's trade mission, or to say if any other employees were going to China. "AGDC does not have any comment or information to share," said spokeswoman Rosetta Alcantra. It's possible that Walker's trip could produce preliminary agreements with Chinese companies to somehow participate in the gas project, said Larry Persily, a former federal pipeline official. But the project — which wouldn't be finished for nearly a decade — is likely still too theoretical for Chinese businesses to commit to investing the billions needed to build it, Persily added. "Certainly, state-owned companies take advice and direction from the government. But they aren't going to sit and write a check for something that has no permitting, no gas, no land," Persily said in a phone interview. "It's way premature, in my mind, to expect checks to come out of this." The pipeline project, as it's currently structured, lacks export authority from the U.S. Energy Department, Persily said. And, he added, Chinese investment in the project could also require the permission of a federal interagency committee, the Committee on Foreign Investment in the United States, which could block it on national security grounds. One state lawmaker who helps oversee the project, Rep. Andy Josephson, D-Anchorage, said in a phone interview that he wouldn't object to Chinese participation in the state's gas project. "It's one-fifth of humanity and it's a major economic power," he said, dismissing a question about whether to account for the Chinese government's record of human rights violations. "We already trade a lot with China, so the idea we would say, 'Oh, geez, not with them' is sort of hypocritical, and totally inconsistent with what we've been doing for decades. The fact is, if that's the market and they're willing to pay a legitimate price for it, there's no reason not to sell to them." Cathy Giessel, R-Anchorage and chair of the Senate Natural Resources Committee, said Thursday she had heard about the agency's upcoming plans in China through news stories. She said lawmakers have generally been frustrated by the lack of information from the agency. "It's disheartening to find out information through the media, rather than directly from an agency for which we appropriate their funds," she said.